AWS OpsWorks Stacks uses Amazon CloudWatch to provide metrics for a stack and summarizes them for your convenience on the Monitoring page. You can view metrics for the entire stack, a specified layer, or a specified instance. In the navigation pane, click Monitoring, which displays a set of graphs with average metrics for each layer. 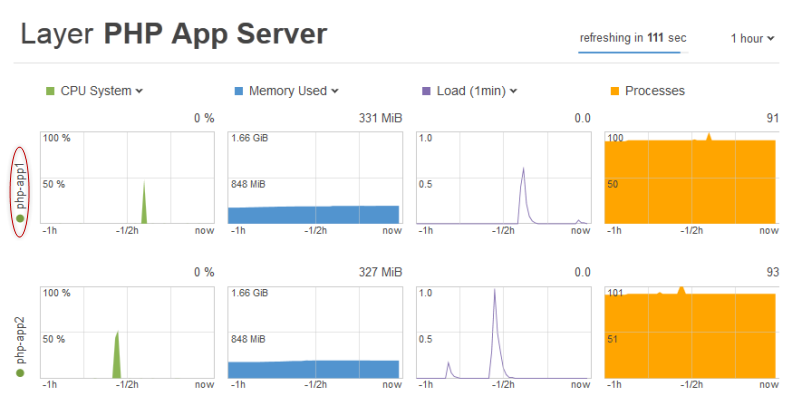 You can use the menus for CPU System, Memory Used, and Load to display different related metrics. 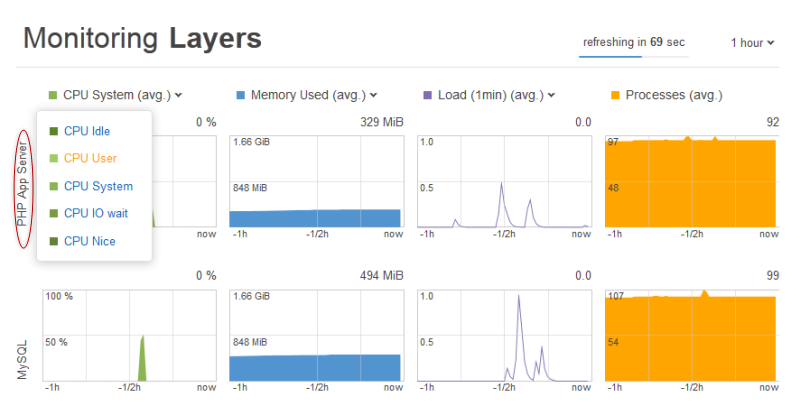 Click PHP App Server to see metrics for each of the layer's instances. 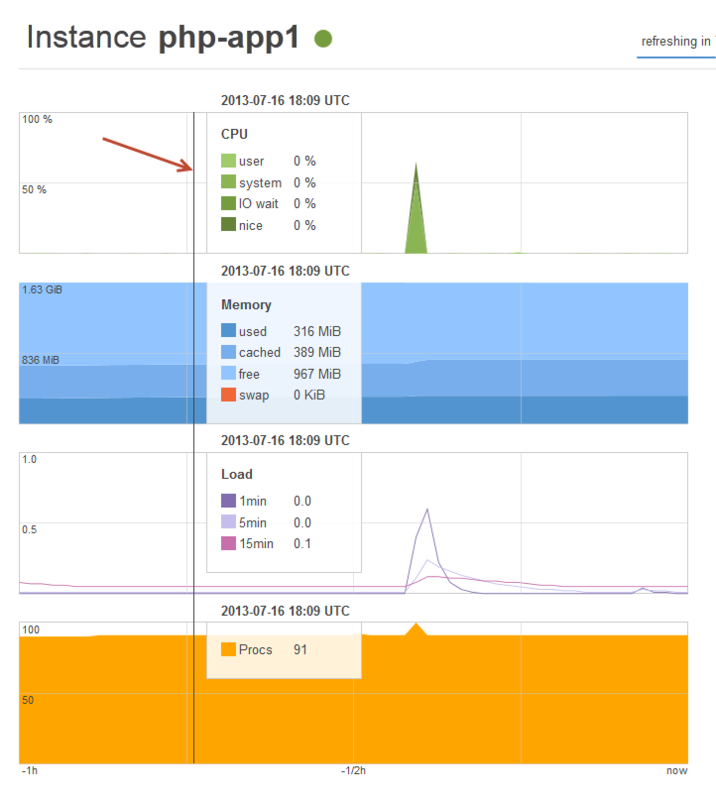 Click php-app1 to see metrics for that instance. You can see metrics for any particular point in time by moving the slider. AWS OpsWorks Stacks also supports the Ganglia monitoring server, which might have advantages for some applications. For more information, see Ganglia Layer.